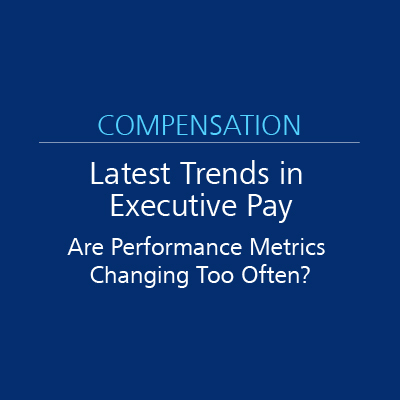 Latest Trends in Executive Pay: Are Performance Metrics Changing Too Often? More than 60 percent of companies made a change to their performance metrics in the most recent fiscal year, according to an analysis of ISS Incentive Lab data. While a change in performance metrics may be warranted to align executives with changes in strategy, business models, or recent M&A activity, frequent changes often lead to poor line of sight for executives – changes that you want to be aware of.